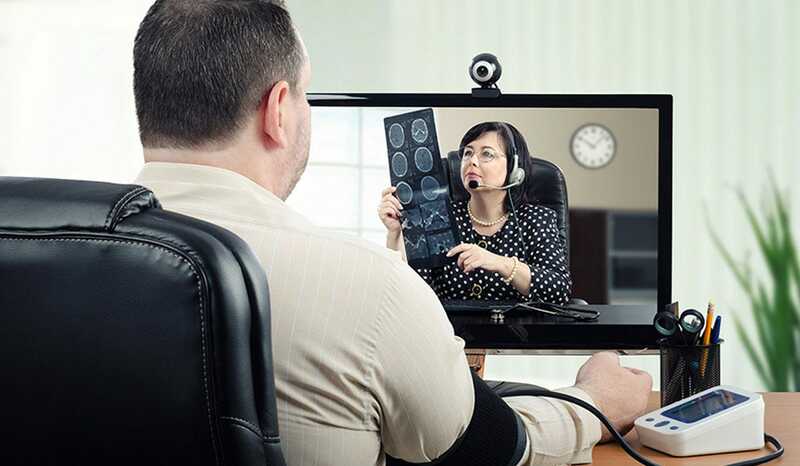 Telehealth refers to the delivery of healthcare, including public health, and health education delivery and support, using telecommunications technologies. The term itself encompasses a broad variety of technologies with many diverse applications in healthcare to deliver virtual health and education services to patients remotely. This technology empowers patients to play an active role in their healthcare. Patients can stay in their local communities and when hospitalized away from home, are able to keep in contact with family and friends. From an ecological perspective, telehealth has the ability to reduce extended travel to obtain necessary care, reducing the related carbon footprint. The history of telehealth dates back to 1977 when high-priced broadband systems that transmit 2-way audio/video communication between patient and doctor were tested for quality in comparison to cheaper alternatives. Breakthrough results proved the economical options to be more reliable, and equally effective in healthcare management (as seen in this Guide to Assessing Telecommunications in Health Care). By 1995, the birth of the internet dramatically advanced the global reach of telehealth by making online resources easily accessible via early search engines Yahoo, EINet, and Telemedicine. 1996 was a record breaking year for telehealth with consultations reaching 890 in total. Through prison and military telemedicine consults, fears of cost-effectiveness and overuse were dispelled. Teledermatology is one of the most active applications of telemedicine rendered in the US. This specialty is particularly suited to the use of advanced communication technologies and the internet for delivery of care. By using advanced communication technologies, physicians are able to broaden their reach to patients in a cost-effective manner. When testing this application to support deployed troops abroad, a high volume of consults were reported. Reports of prison telemedicine programs had similar findings, making the cost-effective healthcare service attractive to managed care organizations. The national average for readmission to hospitals within 30 days following a heart failure episode is 20%. Telehealth monitoring programs have reduced that level to less than 4%. With telehealth, patients are diagnosed and treated earlier, resulting in improved health outcomes. ICUs supported with telehealth communications have substantially reduced mortality rates, reduced complications, and shorter durations of hospital stays. High-cost hospital visits have been reduced through telehealth home monitoring programs. Telehealth technologies assist in addressing nursing shortages, physician shortages, and maldistribution of healthcare specialists by enabling providers to serve more patients with relative ease. Clinicians working in remote regions can more easily obtain continuing education through telehealth support, as well as collaborate with other specialists. Employees can avoid absences from work when telehealth services enable them to remotely attend a consult with a physician. The future of healthcare is still being written, but telehealth is undoubtedly changing the current paradigm of healthcare much to the global delight, excitement, and anticipation of patients and providers alike.